Tech innovations have changed classroom projectors into devices of the future – with productivity gains and lower costs. 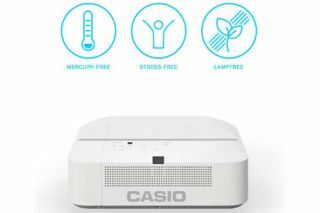 Today’s projectors provide benefits such as wireless connections, LampFree viewing, built-in memory, USB-based lesson uploads, and more. Learn how that works and hear how two schools districts -- in Billings Montana and York County Virginia -- are switching to Casio’s LampFree projectors to improve classroom efficiency, increase operating life and enhance ease of use for teachers and IT staff, and save a lot of money in the process.